Crossing borders for work, studies, holiday and more isn’t always a black and white process; which can leave many applicants frustrated. As relationships, agreements and treaties with countries can change as time goes by and what was common practice before may not be compliant with the latest legislation. At savisas.com we stay abreast of the latest changes to laws and procedures to ensure our clients receive expert advice. If you’re not sure what your visa obligations could be or require help from a professional, then contact us. Speak to a specialist immigration lawyer at Savisas.com. We’ll take you through the process and assist you through the various stages applying for a visa. Immigration policy changes were published for comment on 14 February 2014. The following South Africa visa information outlines the notable changes to the Immigration Act. Visas will in future be called “port of entry visas and transit visas”. Temporary residence permits will in future be called “visas”. Applicants must have at least 2 free pages in their passports (up from 1). Visas (including visitor’s visas) must be applied for in person and from the applicant’s home country. Applications for extensions and renewals of visas may be made in person from within SA. In countries where there is no SA mission or embassy, the Department of Home Affairs will receive applications, including by post, and capture biometrics of travellers on arrival at ports of entry – starting with a pilot at OR Tambo, King Shaka and Cape Town airports effective February 2016. Clarification from the Department of Home Affairs on exactly which countries will be allotted this provision is still outstanding. Fingerprints are required from all visa applicants (see above). Undertakings to submit police clearance certificates within 6 months after issuance no longer accepted. Stricter measures to combat child trafficking. Foreign nationals must now prove cohabitation with their South African partners for at least 5 years before becoming eligible for visas. The current requirement is 3 months. Exceptional skills permits no long exist. Freelancing sports stars, entertainers, musicians and other individuals with unique skills, which are not listed as “critical” have few options for long-stay visas. Permanently-employed South Africans must make up at least 60% of the total staff compliment in businesses owned wholly or partly in South Africa by foreign nationals who live here. Advertisements in national print media no longer required for general work permit applications. Intra-company transfer visas now issued for up to four years, instead of two. Late applications no longer accepted – applicants will need to leave South Africa and apply from their home country. Habitual overstayers can be banned from future visas. 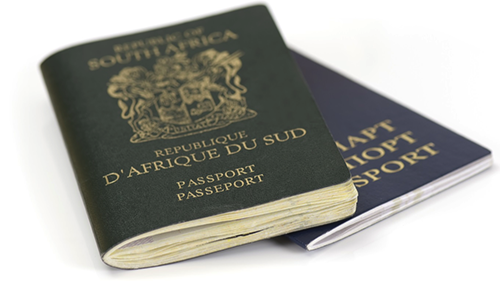 For visa application details, see the South Africa visa requirements page.